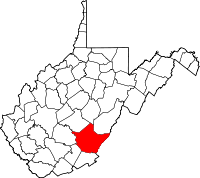 ^ Quickfacts.census.gov - Greenbrier County - accessed 2011-12-06. ^ American FactFinder - Lewisburg, West Virginia - accessed 2011-12-06. ^ Wolford, Lindsey (2007年). “Winds of Change: Supreme Court to Hear Appeal”. West Virginia Daily News 110 (78): pp. 1, 14 .